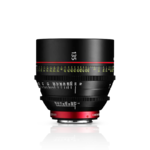 The EF Cinema Zoom lens CN-E14.5-60mm T2.6 L S (EF mount) provides industry-leading wide angle coverage in a 4.1x zoom lens for the Super 35mm format, and is engineered to offer unrivaled optical performance for demanding high-end productions, meeting and exceeding industry standards. 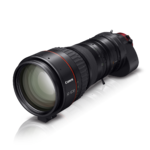 Intended for the working professional, the CN-E14.5-60mm T2.6 L S lens has markings on angled surfaces on both sides of the barrel, making it easy to read settings from behind, or from either side of the camera. Focus markings can even be switched from standard labeling to metric, depending on production need. This lens is equipped with control rings designed to maintain the proper amount of resistance with consistent operating torque, and a covered flange-back adjustment mechanism to meet numerous production application needs. 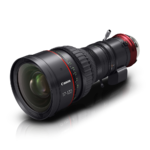 Canon's brilliant EF Cinema Zoom lenses offer extraordinary optical performance for demanding high-end productions. 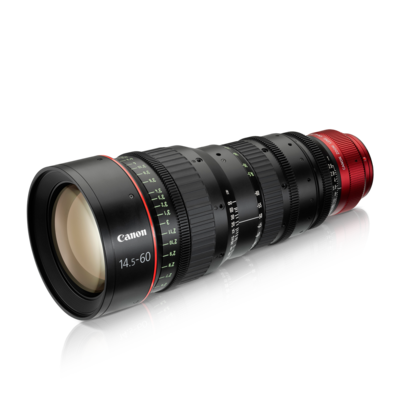 With fluorite, aspherical lens elements, and advanced optical design, these lenses cover the range most commonly used in cinema shooting. 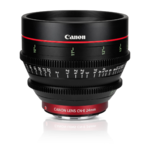 Some of the lightest and smallest lenses in their class, these lenses offer consistent form factors and markings optimized for motion picture production. Sharing the same gear position, diameter, rotation angle and front diameter, the lenses' compatibility with third-party accessories allows crews to easily change lenses without making adjustments to the rig setup.